The wheelchair is one of the oldest forms of assistive technology for people living with disabilities. Although some technologies, such as modern hearing aids, wheelchairs have been around for centuries. If you cannot walk or have difficulty walking, a wheelchair may be a necessity; but they can be expensive. Seeking disability help from Social Security can help you pay for a chair that fits your needs. There are many kinds of wheelchair available to suit the unique needs of individual people. Although a handful of traditional wheelchairs have had the honor of carrying former president Franklin Delano Roosevelt, physicist Steven Hawking needs the help of more complex electronic wheelchairs to live a full life. Hawking’s chairs even come with technology to help him speak, something that would have been unthinkable in President Roosevelt’s time. Without a way of paying for his chair, however, Steven Hawking would be dependent on his nurses or loved ones to help him travel. Not being able to afford the technology you need can mean giving up some of your independence. If you do not have access to the means to pay for the chair you need, the Social Security Administration can help you. It can be very difficult to win disability assistance from the SSA, however. There are too many people who file for the funds available, and it can be difficult for the SSA to figure out who needs it the most. While you may be able to get an adequate chair on your own, the skilled Indianapolis social security lawyers can help you pursue your independence. 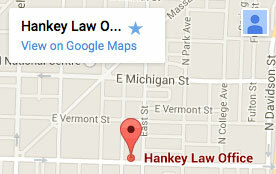 To learn how, contact the Hankey Law Office today at (800) 520-3633.